KLANG Valley's office space may be heading towards a state of oversupply. The total existing supply of office space is 94.4 million sq ft; 73.07 million sq ft of this were occupied in 3Q 2011. This leaves 21.33 million sq ft or 22.6% of the total space, within the various office buildings, vacant. While a 5% to 10% vacancy is normal for most buildings, the aggregate 22.6% across the office market is high. Apart from this, there are 18.59 million sq ft of incoming space (under various stages of construction) and a further 18.74 million sq ft of planned supply. This is space that has been approved for development, but for which construction has not commenced as yet, as tallied by the National Property Information Centre or NAPIC. There is also the possibility that the 18.74 million sq ft could balloon substantially if all the office space being contemplated now and in the near future, especially the Economic Transformation Plan (ETP) are taken into account. In the years to come, the challenge for developers of office space is to make extraordinary efforts to adjust supply to conditions in the market when their projects are due to come on-stream and to do as much of pre-letting as possible. For owners of existing buildings, hang onto to your tenants! For regulators and lenders, watch this with greater interest. Much hope hinges on the roll out of the ETP and how it will create new office space demand, and of the order required, to balance demand and supply. Nevertheless, the office market cannot be looked at, solely, through the lens of total numbers. The market exists in various sub-markets, depending on location and product type. Each segment has its own demand-supply dynamics. Rents drive the market and post-Global Financial Crisis (GFC), rental levels have dropped to about RM7 to RM8 per sq ft per month for average prime space. At this level, the office market for average prime space for office buildings sold en bloc can sustain at RM700 to RM900 per sq ft based on its historical yield expectation of about 7% to 7.5%, but this figure is not carved in stone. For the market to slip below this level, it will take a severe economic downturn. In short, office values are bouncing along around the bottom. Post-Asian Financial Crisis, values did dip below the replacement cost (as it was then), for a number of years. 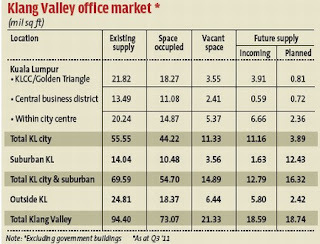 In terms of office space, the Klang Valley, with an existing supply of more than 90 million sq ft, dominates, compared to Penang's 9.43 million sq ft and Johor Baru's 7.7 million sq ft.
Klang Valley's retail segment, comprising modern shopping centres, is relatively stronger than the office market segment because consumer spending has continued unabated. But there are shadows of looming oversupply even in this segment. If inflation accelerates, or household spending is crimped, will there be consumer support? But a well-managed retail centre by its inherent higher sophistication (than an office building), has better strength to tide over temporary downturns. Once a shopping centre has clientele loyalty, usually through a prolonged period of astute mall management, it is extremely difficult for new comers to dislodge it. Real estate investment trusts or REITs have a heightened presence after the listing of Sunway REIT and CMMT are anchored with retail properties. The latest addition, the Pavilion REIT is also essentially a retail REIT. REITs are generally defensive investments and are ideal for lowering volatility in a portfolio of stock and bond investments. They are also particularly attractive during difficult economic periods such as, since 2008. They are more convenient proxies for physical property. For that reason, special tax benefits are showered on them. But, as was seen during the last GFC, to perform true to form they should also display all their other attributes, i.e. a high degree of transparency, low borrowings, professional property management and the comfort that comes from a high degree of regulatory oversight. REITs have also to display their ability as a sector, and as individual REITs, to ameliorate its greatest weakness i.e. its dependency on short term financing due to the requirement for it to distribute almost all its earnings, yearly. During the days of easy money before the GFC, cheap financing was not a major issue, but it now is. As a quid pro quo for favourable tax incentives, REITs are obliged to promote retail investors, apart from institutional investors, to participate in the REIT. This will meet the regulators objective of deepening and broadening the capital market, and set the foundation for sophisticated products in the future such as the establishment of a property derivatives market. Retail investors would also have tenancies that come with considerable visibility. REIT managers should provide information as this is the key driver of REIT proposition and not hide behind the guise of protectionism against competition. The residential sector of the market, viewed from the perspective of the country as a whole, is fundamentally sound. In the Klang Valley, where residential properties are generally 4 to 5 times annual household income, certain hotspots have elevated this ratio in recent years. Household income in the Klang Valley is about RM6,000 a month. While house prices have increased, household income has not. Set against property prices, rental yield has dropped over the years, slipping below the critical 3% benchmark. This is a cause for concern as yield should range between 3% and 6% (all risks net return) depending on house type and whether landed or strata. Over the past six months, with the onset of greater volatility in global markets stemming mainly from the European sovereign debt crisis, sentiment has filtered down to the residential market in Kuala Lumpur. Coupled with tightening measures by Bank Negara for loans, the market has slowed and demand has become subdued. It is hoped that this has taken some heat out of the speculative end of the market. Going forward, into 2012, the issues that bear watching for the property market in Malaysia, are the continuing European debt crisis and the sluggish US economy and its effects on the global economy and the possible slowing of the Asian behemoths, China and India (which have regional implications). There is also the possible General Elections in Malaysia (and its ramifications), the possible introduction of the Goods and Services Tax (affecting in particular house prices, developers and service apartments) and the possible unprecedented legislative introduction of a new, single mode of housing delivery by way of the “build then sell” system (humungous down-the-line implications). There is a possibility of further tweaking of rules for housing loans (to possibly also contain household debt) and other possible monetary and fiscal measures (may be negative or uplifting for the property market) that may be put in place should the global economy weaken further. Elvin Fernandez is the MD of property consultancy firm Khong & Jaafar Sdn Bhd. 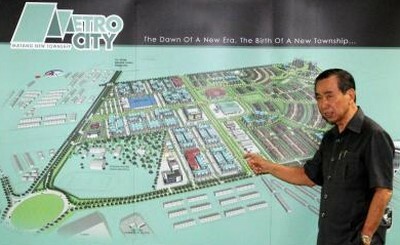 Ambitious project: Chong pointing to a map of the MetroCity project, the largest single integrated township development in Kuching City North. The two-phase development on 74ha has a gross development value of RM970mil. KUCHING: Chong Kia Hoi Realty Group is negotiating with three international brand hypermarket chain operators to operate Sarawak's biggest hypermarket in MetroCity, its flagship integrated new township development in Matang. CKH Realty Group chairman and managing director Chong Kia Hoi said the three chain operators were the industry's “big names”, having several stores in Peninsular Malaysia, and that they were keen to expand their retail network to Sarawak. He declined to name the operators. “Hopefully, we can seal the deal in two to three months,” Chong told StarBizWeek. Tesco, Carrefour and Giant are the major foreign hypermarket and supermarket retail chain operators in Malaysia. Giant has spread its wings to Sarawak, opening two hypermarkets in Kuching, and one each in Sibu and Miri over the past six months. Chong said an established local supermarket group had also expressed its interest in the proposed hypermarket. He said the hypermarket would have a built-up area of between 120,000 and 150,000 sq ft, and 800 parking lots. MetroCity is CKH Realty's most ambitious project and the largest single integrated township development in Kuching City North, where the Sarawak administrative centre is located. The two-phase development has a gross development value of RM970mil and spans 74ha. Phase I will be a commercial precinct comprising 314 units of three/four shophouses priced between RM850,000 and RM2.5mil, a commercial hall that will house the hypermarket, two three-storey showrooms, a private medical centre and a 120-room hotel. It will also feature a fast-food restaurant, a trade service entertainment cineplex centre, a private food court and an integrated bus transit terminal and taxi station. Phase II will be a residential development with more than 1,000 houses of various types. Chong said more than 80% of the shophouses had been sold since their launch about three months ago. “The entire development is expected to take eight to 10 years, and it will be financed with internal funding,” he said. The properties in Gold Coast, Australia seem to be more attractive compared with those in Sydney and Melbourne. INSTITUTIONAL funds including Employees Provident Fund (EPF), Retirement Fund Inc (KWAP), Lembaga Tabung Haji (LTH) and Permodalan Nasional Bhd (PNB) are on the lookout for viable properties overseas to diversify their portfolio and to take advantage of the strong ringgit. CB Richard Ellis executive director Paul Khong says overseas markets such as the UK's commercial property market offers long-term lease tenure which ensures a fairly stable rental income. “As such, commercial properties with blue-chip tenants at high rental yields will be ideal for these funds,” he says. Khong says the offshore diversification will ensure a more balanced portfolio for the funds. He says most of the purchases will be yield driven with different expectations in different countries. “With the strong ringgit against the pound sterling and the deteriorating condition of the UK property market, more trophy properties are now available for sale. It is a good time to shop around for bargains selectively both big and small properties. “The funds can expect to look at net returns of 5% to 6% currently for good quality assets in the UK,” he says. Meanwhile, the strong Australian currency has driven up property prices Down Under. Khong says Australia is getting pricey due to the exchange rate. 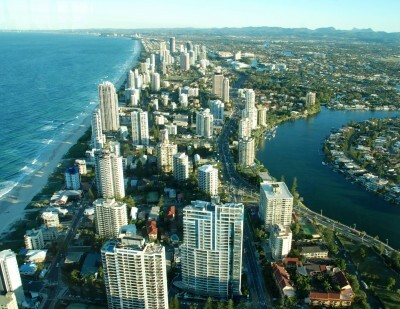 “Sydney and Melbourne are at the higher end of the curve in the residential market cycle but other areas in Brisbane and Gold Coast seem to be more attractive as their markets are at the lower end of the scale (where selective properties are coming in at close to 10% yield for a quick sale),” he adds. Savills Rahim & Co head of overseas business development Chris Hahn says the markets in the UK and Australia are transparent with fierce competition for institutional-grade investment properties. “Most investment properties in the UK and Australia are marketed worldwide by exclusive agents and in parallel with this institutional investors also pay for their own advice from agents or fund managers. Sellers of property can be assured that the global market is covered and fair prices are achieved,” Hahn says. Khong says the Securities Commission has done a good job in monitoring the actions of the public companies and having an independent authority to monitor transactions involving large amounts of public funds is good as it will encourage good corporate governance. Hahn concurs, adding that making reports on the funds' performance public allows the people to monitor how these offshore investments are performing. The EPF, which has allocated £1bil to invest in properties in the UK and other European markets has, to date, invested about half of that in a number of commercial buildings in London. KWAP which has allocated 4% of its entire fund of RM3.2bil for property investments, has completed its acquisition of the 14-storey ASX building in Sydney, Australia, for A$185mil last December. In 2010, KWAP bought 737 Bourke Street office building in Melbourne for A$113mil. Besides Australia, KWAP is also eyeing some properties in London. According to a Bloomberg report, PNB is in talks with German real estate fund KanAm Grund KAG over the sale of four London office buildings valued at about £1bil. The German real estate fund is said to be in discussions with other bidders and “a deal could be done in a couple more weeks,” says Michael Birnbaum, a spokesman for the Frankfurt-based KanAm. The buildings are the European Bank of Reconstruction and Development's head office next to Liverpool Street train station, the UK headquarters of Thomson Reuters in Canary Wharf, Deutsche Bank AG's UK headquarters on London Wall and an office building at 90 High Holborn. The London assets are part of KanAm's suspended 3.97 billion-euro (US$5.1bil) Grundinvest fund. Last December, PNB paid £350mil for the Milton & Shire House building in London and the fund says it is looking to add more British assets to its portfolio. In 2010, PNB bought an upmarket office block in Brisbane, Australia, called Santos Place for more than A$290mil. LTH plans to invest in syariah-compliant buildings in Australia. LAST year, a young entrepreneur turned property investor lost his business outfit. Although his monthly income fluctuated somewhat month-to-month, he was able to get loans from the banks to finance his purchases, which he had incrementally amassed to about 10 over the years. He was able to have a selection of properties because of the nature of his work which allowed him to source and research the sector and related industries. He was also a quick and adept student of the market and its trends, because like many Malaysians, he was interested in bricks and mortar as an investment instrument. It is uncertain how he will pay for all of them today. Because of Malaysians' great love for properties, there is the tendency to buy multiple units, each in succession when the previous purchase is not yet fully paid for. While there is nothing wrong with this strategy some of us are more comfortable with properties than with other forms of investment instruments these “assets” can become a financial millstone. Quite a number of Malaysians bought multiple units at one go, sometimes in the same project because they have faith in the developer. Or they buy into the same segment, for example, condominiums. If one has the means to hold on to these investments over the long term, there may not be an issue. The danger of multiple property purchases and ownership comes during a down cycle. A couple of years ago when the property prices were steadily moving up, Malaysians' enchantment with the property market resulted in various courses being offered by property experts. Nearly, if not all of them, were millionaires because of earlier property investments and they were offering courses to teach how one can become rich, like themselves. However, the scenario then and the scenario today has changed drastically. It may not be possible to use the same strategy they had used. Like any investment, and at any one point in time, there are risks involved. But over and above taking a risk, there is something known as moral hazard. When risks become too high, the action taken by an investor may be hazardous and the probability of failure becomes very high. An action becomes morally hazardous when an investor makes a decision to do something assuming that he has a safety net. Lately, there was a case where a spouse had bought two luxury condominiums with money that did not belong to him. Because properties at the time enjoyed high returns, he bought multiple units in Malaysia and Singapore. When the case came to light, he stressed that his wife, a public figure, is not involved. A couple may not be a single entity from the legal standpoint. However, the reality is that the action of one will have a bearing on the other. This was clearly seen early this week when the chairman of the Swiss National Bank, equivalent to our Bank Negara, resigned. Less than a week ago, he had denied any wrongdoing in a currency scandal that involved his wife. The Financial Times reported that Philipp Hildebrand's wife had in September 2011 bought US$500,000 before the Swiss National Bank, headed by her husband, imposed a ceiling on the appreciating Swiss francs to halt its rise. Because Swiss francs was appreciating so quickly, the greenback became “cheap” by comparison. The move by the central bank sent the Swiss francs down sharply. She sold the dollars one month later. She bought the US dollar cheap and sold high. That is an interesting question. It is a question of self examination that comes to each of us, at one point or another, sometimes many times over. Assistant news editor Thean Lee Cheng ponders: Should the action of a spouse have far reaching consequences on the “innocent” half? Should one profit from one's vocation because of some privileged information? RECENTLY, a friend of mine purchased a house from the secondary market after months of careful deliberation. As he shared the joy of his new property purchase, it was heartening to note that many of his friends were also hunting for properties in both the primary and secondary property markets for investment purpose and/or for their children. We often see two scenarios when it comes to the purchase of a home. Some favour purchasing a property directly from the developer and others, from the secondary market. Both groups, however, have a common agreement that neither option is right nor wrong since personal preference largely influences the acquisition of a property. In Malaysia, both primary and secondary property markets offer plenty of choices in terms of property types and range of prices. Properties from the secondary market are often viewed as ready to be occupied and most purchasers of such properties are generally satisfied with their acquisition based on the principle of “what you see is what you get”. In fact, secondary properties are very popular in our country. According to statistics published by National Property Information Centre (NAPIC), the total residential property transactions in 2010 was 181,024 units, with 151,862 units transacted in the secondary market, and 29,162 units from the primary market. In short, 84% of the units transacted were completed properties from the secondary market. On the other hand, newly-built properties bought directly from developers offer a different spectrum altogether. Purchasers of such properties generally look for specific locations or specific project features such as newly-developed areas near to commercial lots or recreational facilities, or projects with innovative elements etc. When buying a property directly from a developer, the purchaser expects to get a good deal compared to secondary market which has factored in price appreciation. Some may perceive primary property market as containing higher risk as they purchase a property off the plan without seeing the real product. They will only realise their hope when the house is completed and handed over to them. As such, purchasers are advised to always consider the reputation and track records of property developers before making their commitment. Being able to choose a property from the primary and secondary markets clearly facilitates a healthy environment where house buyers can enjoy the best of both worlds. 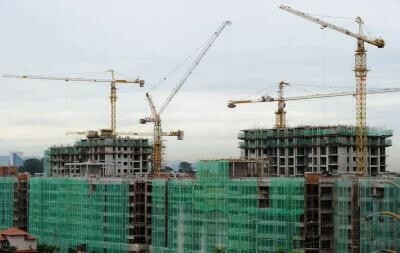 At present, almost all newly-built properties would fall under the sell-then-build (STB) concept. Purchasers would pay a 10% deposit or 20% initial payment of the purchase price with the remaining 90% or 80%, as the case may be, mostly financed by mortgage loans provided by banks. Servicing interest or instalment would begin immediately after the banks start to disburse the monies to the developers. BTS on the other hand is a concept that allows house purchasers to pay the initial 10% deposit and not pay a single cent thereafter until the project is completed and the certificate of fitness is issued. In most cases, the construction period may last up to 3 years. There are two sides of the coin on when to purchase a BTS concept property. Purchasing early provides the buyer a greater selection of units to choose from and more time to shop for good mortgages. Purchasing near the completion stage, on the other hand, provides the buyer the opportunity to have a physical view of the property (design and quality) and its surroundings (infrastructure, marketability etc). However, if the decision is made too late, the buyer may miss the opportunity to purchase a house from developer, and later has to pay higher price for a unit from the secondary market. So how does BTS fit in today's picture? Notwithstanding the difference in the duration to occupy the property (i.e. most “second hand” properties are fit for occupation immediately while newly-built properties have to wait for the certificate of fitness), properties in the secondary market are already adopting the BTS concept. Effectively, the purchaser can occupy the property once the remaining 90% payment is secured by the seller. No doubt, the Government's move on BTS concept is mooted with good intention to protect consumers from suffering losses as a result of abandoned projects. However, a more holistic assessment of the concept needs to be undertaken before it is made mandatory. For instance, understanding and addressing the causes of abandoned projects whether they are due to economic downturn, inflation, fraud or management know-how, etc, are highly necessary. As it is, there have been efforts to mitigate this problem in the form of stricter regulatory measures such as imposing hefty fines of between RM250,000 and RM500,000 and harsh jail term not exceeding three years for offences relating to housing abandonment by developers. The banks are required to assess the developers before offering bridging or mortgage loans and greater awareness campaigns highlighted by the media. Something for everyone to ponder at the beginning of the year. KUALA LUMPUR: AEON Co (M) Bhd, the Malaysian operator of the Japan-based Jusco retail supermarket, hypermarket and shopping malls, expects to open another five to eight shopping complexes by 2015. AEON Asean vice-president and chief executive officer Nagahisa Oyama said currently the company owned and operated 28 shopping malls, with the latest opening in Rawang in December last year. He said a shopping mall would usually cost some RM200mil, depending on location and arrangement with the developer. “Sometimes we have to buy the land and build, sometimes the developer will construct it and we just have to run the business. “These new shopping malls are at the planning stage. Therefore we do not have specific locations for the complexes yet,” he said after a welcoming ceremony for new Aeon staff yesterday. KUALA LUMPUR: UOA Real Estate Investment Trust (UOA REIT) posted a higher pre-tax profit of RM41.87 million for the financial year ended December 31 2011 compared with RM25.08 million in the same period last year. In a circular to Bursa Malaysia, the company said its revenue jumped to RM79.74 million from RM42.81 million previously. KUALA LUMPUR: Mitrajaya Holdings Bhd announced that its wholly-owned subsidiary, Pembinaan Mitrajaya Sdn Bhd, has accepted a Letter of Award from Putrajaya Holdings Sdn Bhd. The award is for the proposed construction and completion of residential and commercial units in Putrajaya for RM20.52 million, Mitrajaya told Bursa Malaysia.